AccessReal is a comprehensive product identity, counterfeit detection, logistics tracking, big data analytics and direct marketing platform. 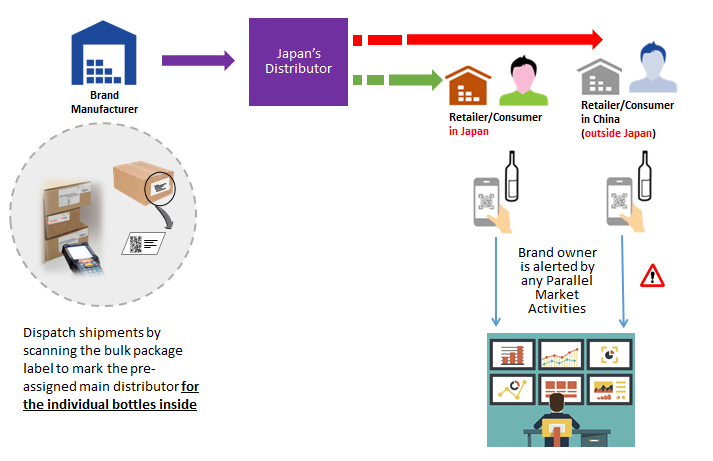 AccessReal gives each product a unique identity to prevent counterfeit, and provides logistic tracking to avoid fleeing goods. It protects the rights and interests of manufacturers and consumers. Also, it enables direct communication between manufacturers and consumers. 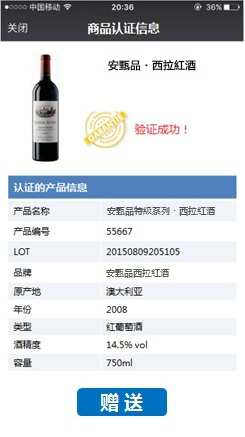 AccessReal generates a dual-layer authentication code for each product as an anti-counterfeit and tracking label, i.e. each product owns a unique label. The system creates a product database, and provides a bank grade secure storage and transmission technique to protect the digital identity of those products. 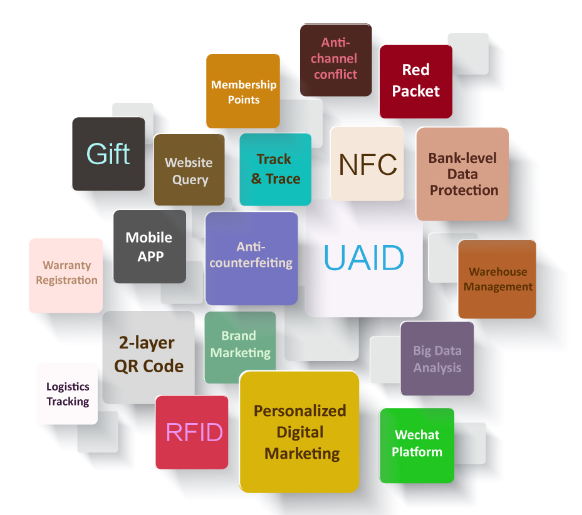 The platform can be flexibly integrated with the client’s existing business systems, and be expanded to support multiple forms of anti-counterfeit label to satisfy the various needs of different clients. Moreover, this system brings the big data analysis and business insights to the enterprises. AccessReal has an easy-to-use mobile App. Consumer can simply use their mobile devices to identify the products and report counterfeit by using AccessReal Client Application or WeChat. AccessReal anti-counterfeit identification label is a 2-layer authentication code. 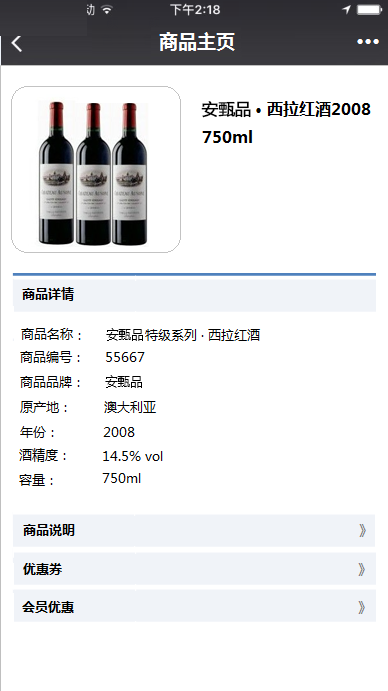 It supports QR code, bar code, NFC (PKI) and RFID etc. AccessReal provides logistics tracking service which helps enterprises to monitor the whole product distribution network. 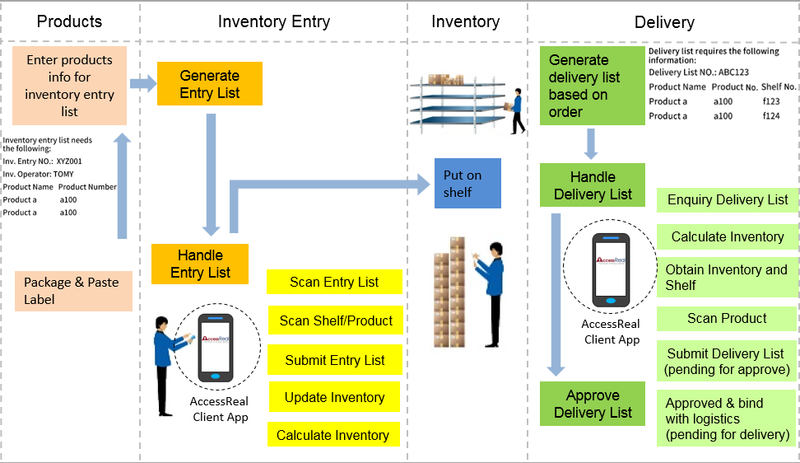 AccessReal system can be integrated with inventory system, so that the enterprises can keep track of the inventory entry and delivering records. 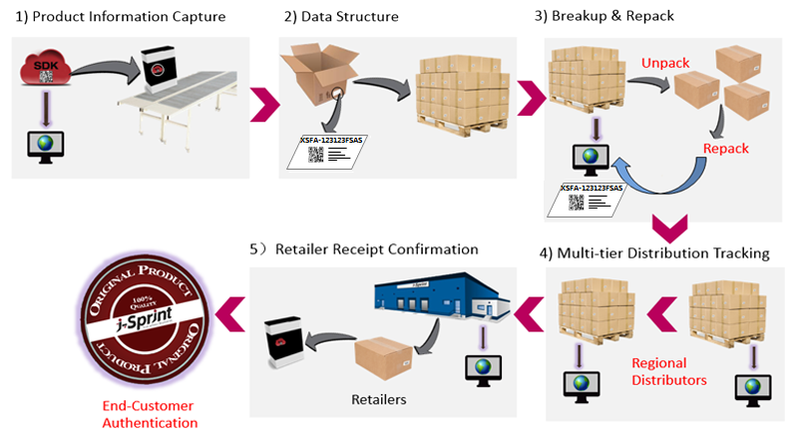 Dispatch shipments by scanning the bulk package label to mark the pre-assigned main distributor for the individual bottles inside. After the purchase and product authentication, AccessReal Product ID can be used as after-sales maintenance certificate to provide the better and convenient services for customers. 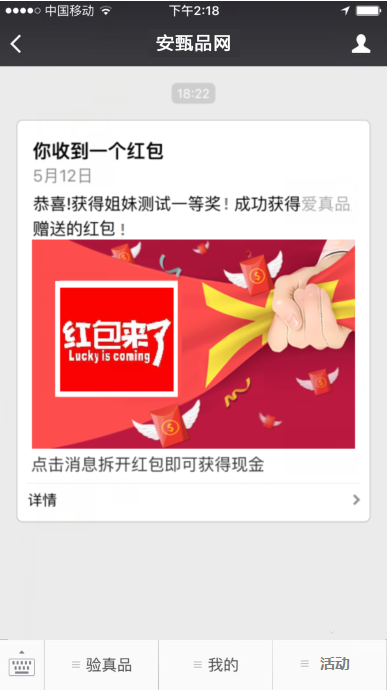 AccessReal has created a WeChat public account. 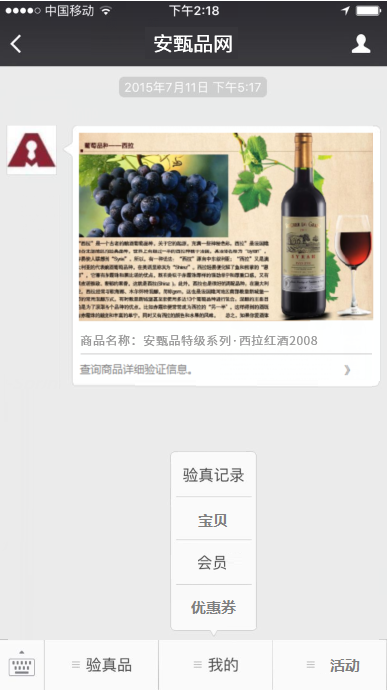 By adding AccessReal public account on WeChat, customers can do marketing for their products, and consumers can identify the products that they have purchased, and interact with their WeChat friends, etc. AccessReal innovational Big Data marketing allows enterprises to interact and communicate with their consumers directly. 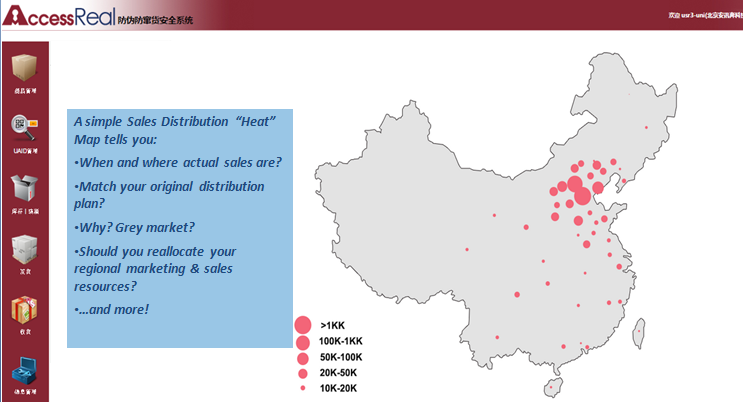 By analyzing the mass data gathered from AccessReal Client App and WeChat public account, AccessReal draws a real-time Heat map which shows the product and consumer information, such as: when and where the product is purchased; how many people purchased the product; how many people are enquiring; where the counterfeits were detected, etc. AccessReal platform supports to analysis report for counterfeits, purchase conversion rate and sales trends in real-time and channel conflicts, or the marketing of goods, purchase conversion rate, date sales trends in real-time. It also provides monitoring analysis for product channel conflict.